happiness; to know; to desire. 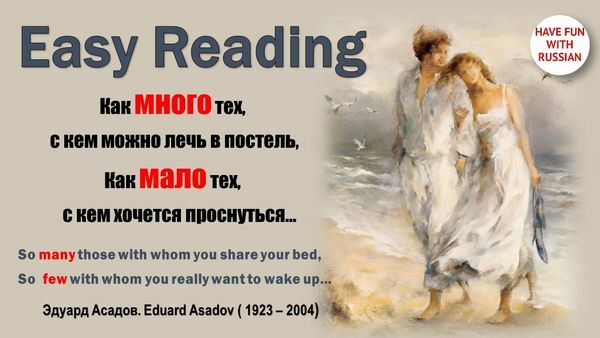 *Эдуа́рд Аса́дов/Eduard Asadov (1923 – 2004) was a Russian poet and writer of Armenian origin. His philosophical and love lyrics is well known in Russia and Russian speaking world. His life was tragic but full of love. In 1941 Asadov went to the front as a volunteer. In 1944 defending Sevastopol he was badly wounded by a shell fragment hitting his face. After continuous treatment in many hospitals surgeons had not managed to save his eyes; to the end of his life he wore a black mask.